Germans had an unusual approach to painting camouflage on vehicles during ww2. For large stretches of the war vehicles were delivered in dark yellow, and it was up to crews to paint the camouflage on. For a modeler, this has the advantage that there are a huge variety of camouflage patterns. 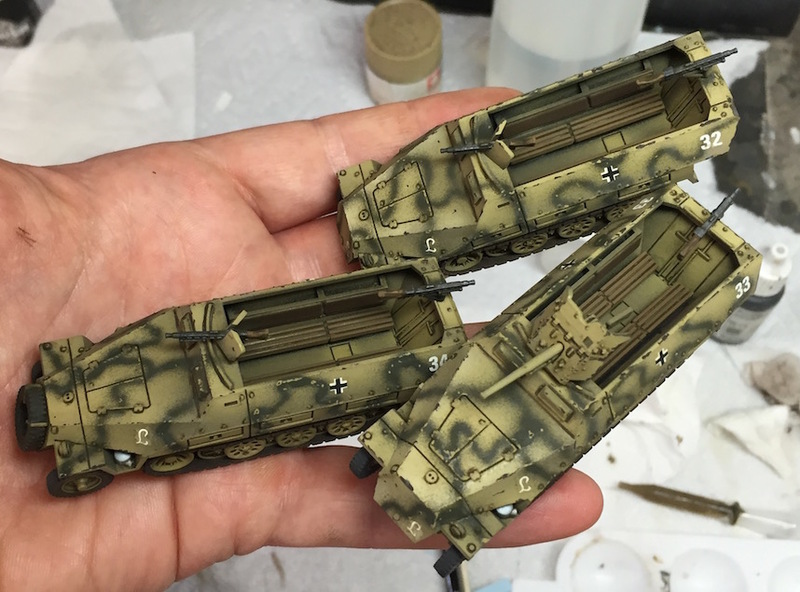 Since our group is continuing to delve into Bolt Action at 1/72 scale, and I had already painted up US half tracks and trucks, it was time to give the german players some transport vehicles to use. I went for dark yellow with color modulation with green stripes meant to look like crew members sprayed on the green paint. 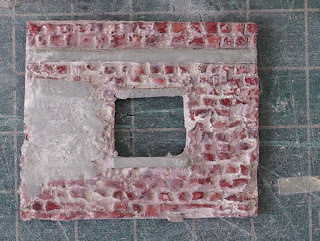 These models still require some streaking grime and pigment work, but they are probably usable in this state. 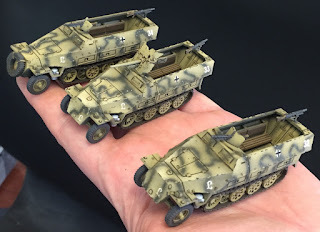 As interesting as German paint schemes are, I am excited to give British 8th army a shot. Their early vehicles sometimes used sand color, grey, light blue, and pink in a bewildering sharp pattern. I've been experimenting with camouflage for a while now, however I've been posting the results of that work. 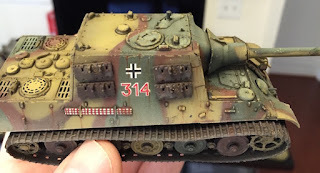 The Royal Tiger here (using the terminology from "Tigers In The Mud") was my attempt at German three color camouflage from the western front. 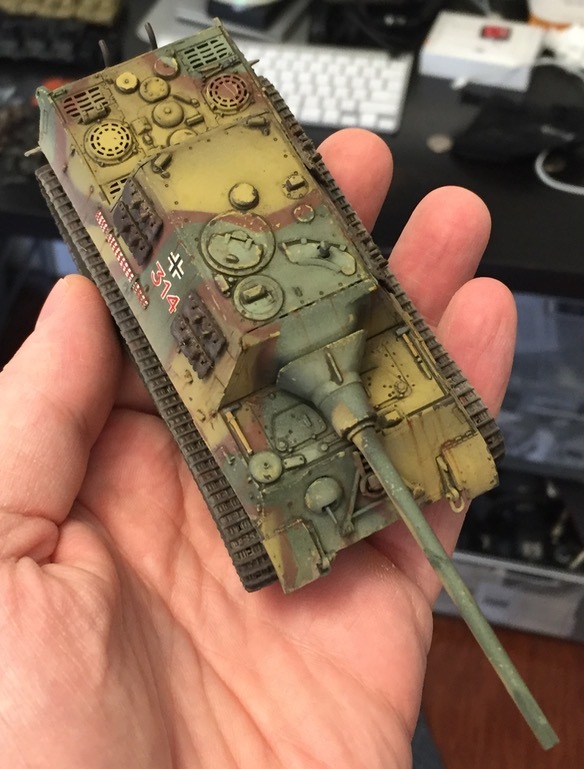 This color scheme was produced using poster tack to mask off areas of the tank. The tracks are not complete yet, nor have the oil stains been added, but I think this guy could show up in a game and nobody would complain. I warned you with rant brackets so here goes... This model came with vinyl tracks. The directions said that a heated screwdriver should be used to melt each track into a single piece. That worked exceedingly poorly for me. Everything about working with these vinyl tracks was awful, and the huge mess I made on them means that I have to put way more mud on the tracks than I normally would want to. 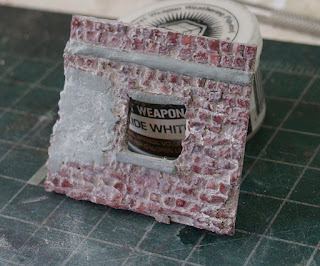 This morning I decided to experiment with some brick painting techniques. 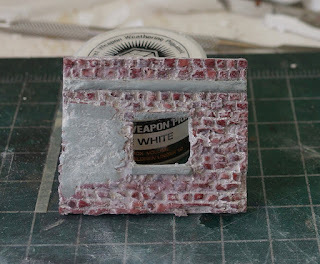 Since I did not have bricks, I had to first create a quick brick wall segment to work on. 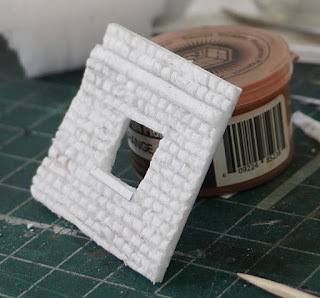 I suspect that lots of folks have problems building terrain out of foam board, so what follows is a quick tutorial on creating the little wall segment I made above. 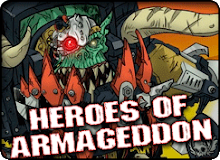 I did this quick and dirty, with little attention to detail. 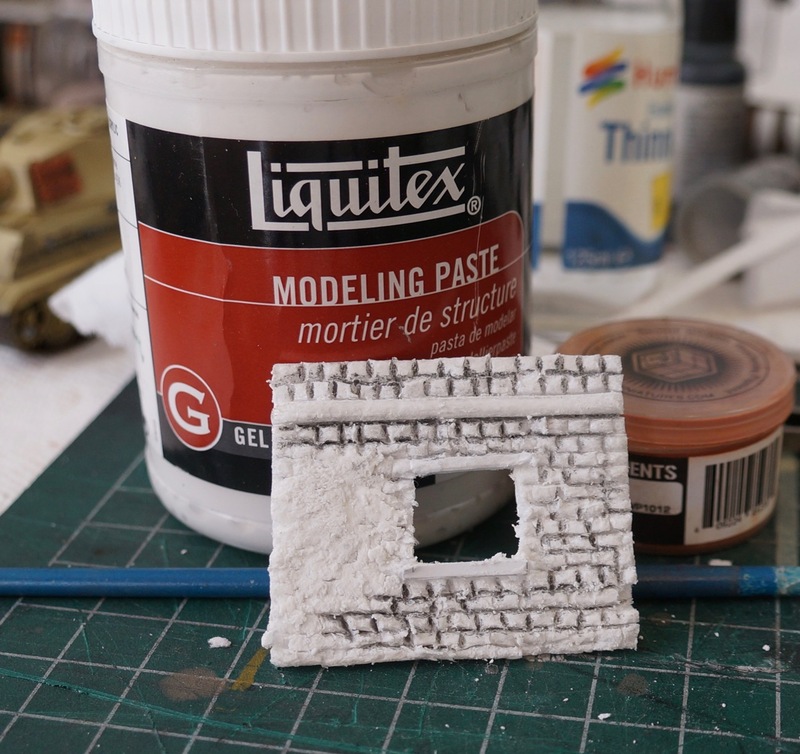 If you want a better result, definitely spend more time carefully sculpting the bricks. 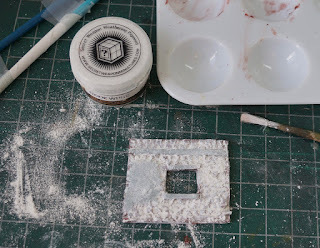 For me though, this was just enough to let me experiment with powders. There are two ways I know of getting the effect of mortar on bricks. 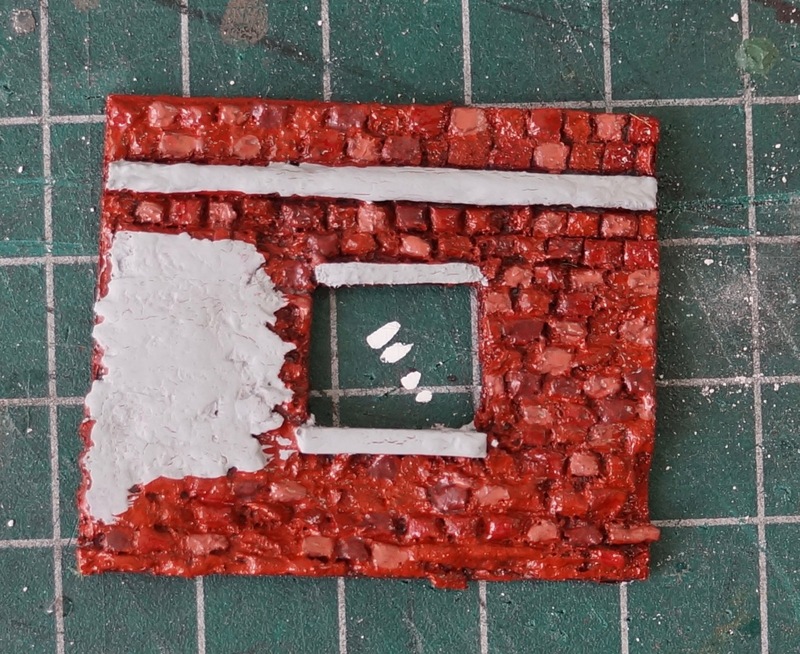 The first is using enamels. I am partial to that method already, because cleanup and blending is quite easy using thinner. 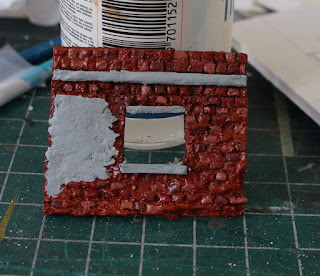 I already use enamels on most of my models, so it is not much of a step to use them on buildings. 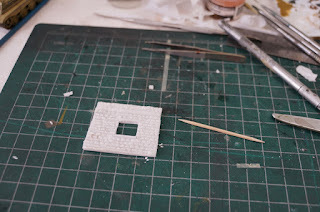 When sculpting with foam board it is necessary to peal off one of the paper sides in order to expose the foam. 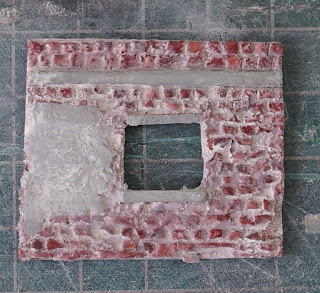 To sculpt the bricks I used an exact knife and tooth pick. 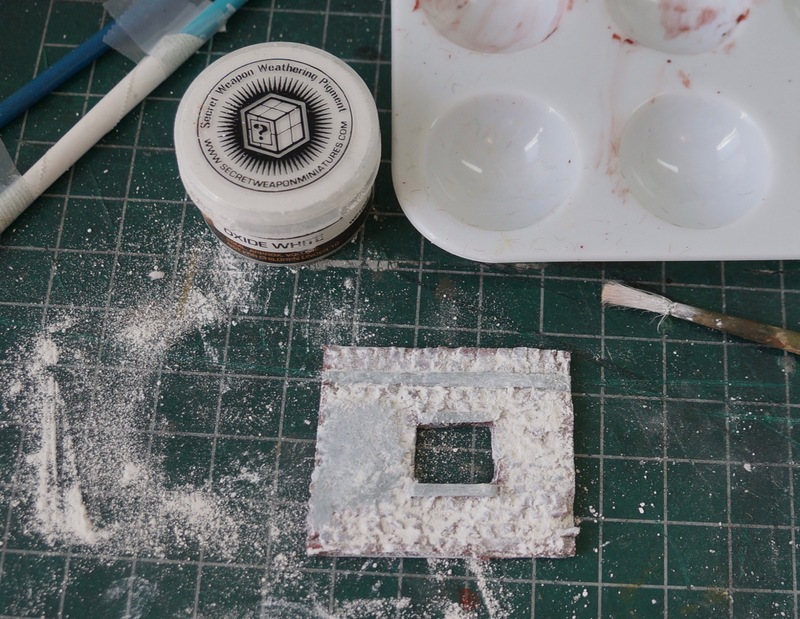 A press mold is a better way to accomplish this. I normally take an old paint brush and pull out the bristles. The metal tip can then be bent into a nice rectangle shape and used as a mold. To get a nice smooth finish I put on a little modeling paste. My paste had dried out so it was not ideal. Again, take time doing this. 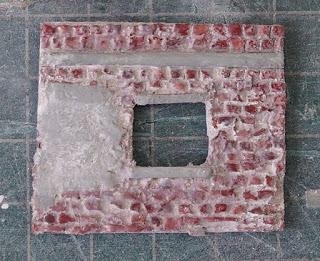 A quick sanding of the bricks and plasterwork provides a relatively nice surface to paint. 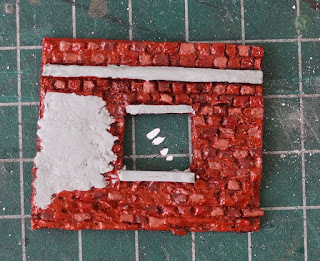 I used three colors of paint for the bricks. 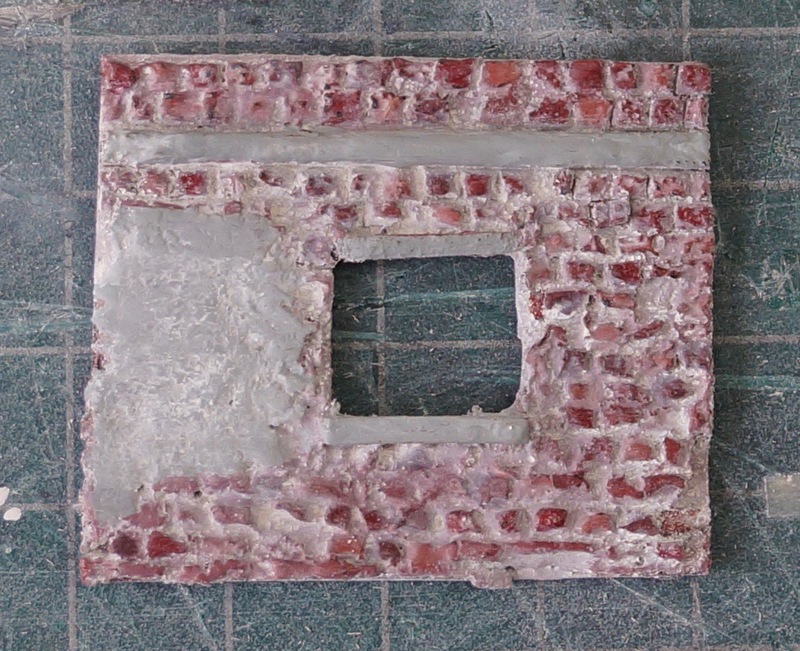 The goal was to provide a nice top coat on the plaster. 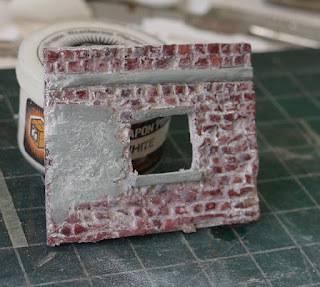 You can see how my sloppy brick work really shows through! 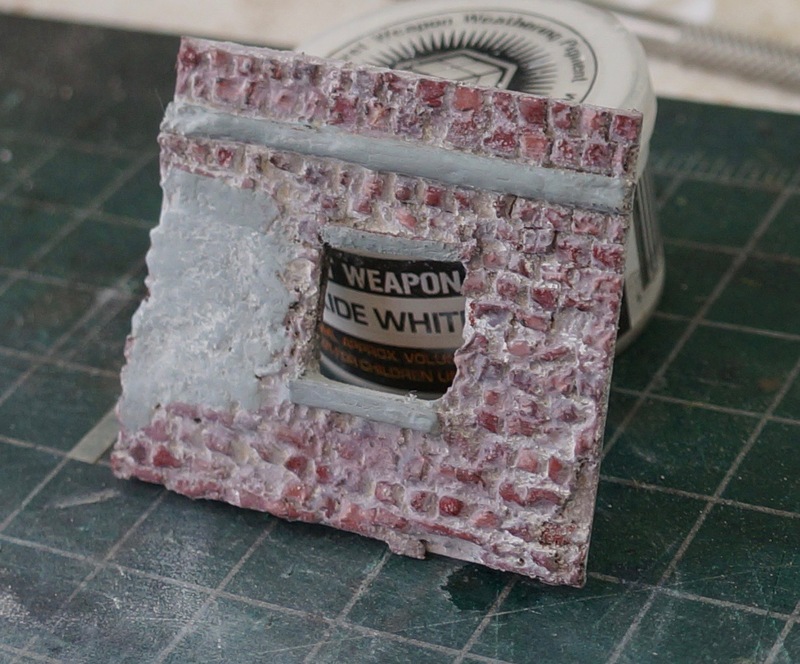 The fun step involves loading up the model with Secret Weapon Miniatures white weathering powder. I haven't had a use for this color before. 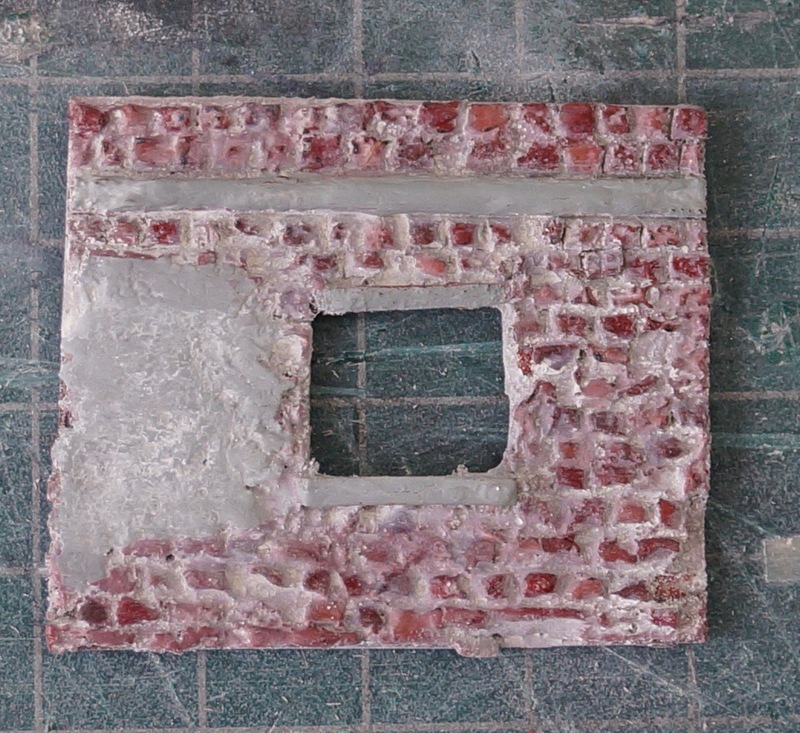 After working the powder in with a brush I licked my finger and used it to rub away the powder on the bricks. 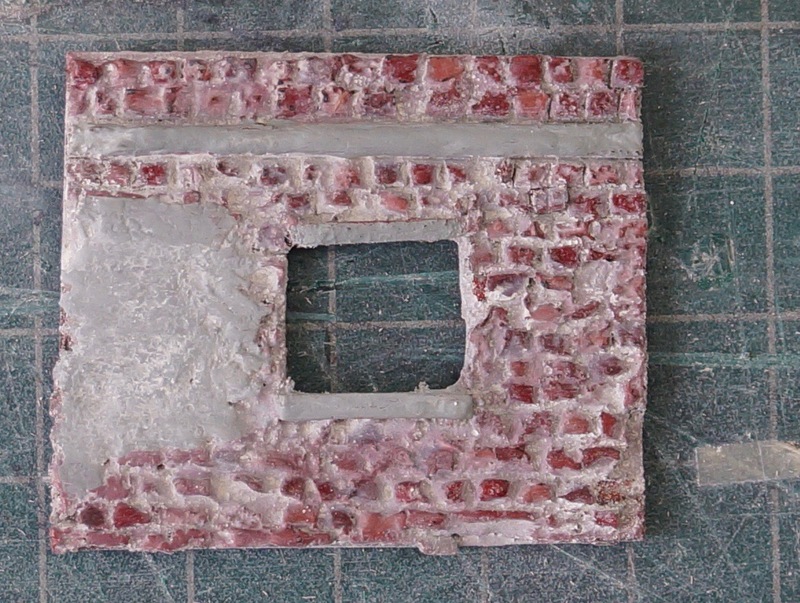 The weathering powder tastes terrible by the way.